About Sophie la girafe Peekaboo Sophie! 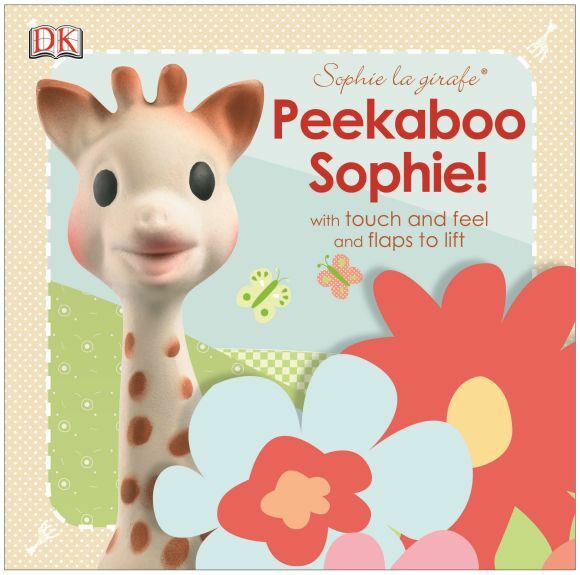 Play peekaboo with Sophie the Giraffe and hear your baby giggle with delight as hidden surprises are revealed in this lift the flap, touch and feel baby book. This board book for babies and toddlers, introduces your baby to Sophie the Giraffe and her friends using hands-on activities such as touching a squidgy nose or tickling Sophie's spots, providing your baby with hours of peekaboo fun. Under an apple flap, Sophie finds Josephine the Mouse and Kiwi the Bird with fabric details. And what's under the flowery flap? It's Lazare the cat with a soft textured body to pat! The simple read-aloud text encourages interaction between you and your baby and is guaranteed to have them giggling 'Peekaboo!' in no time.